This little girl walked past me wanting some money. She was dressed up as a Hindu goddess and she was cute-as-a-button. I asked her if she would take a picture with me and she said yes. That cost me 10 rupees, but I don’t get too many opportunities to be photographed with Indian goddesses. I asked a British guy who was passing by to take my picture with her and he responded "For fifty pence," He’d been in India way-too-long. My question to the little girl would have been "Does your mom know you’re out on the street begging?" But, who am I kidding? It was her mother that dressed her up so cute and put her there. 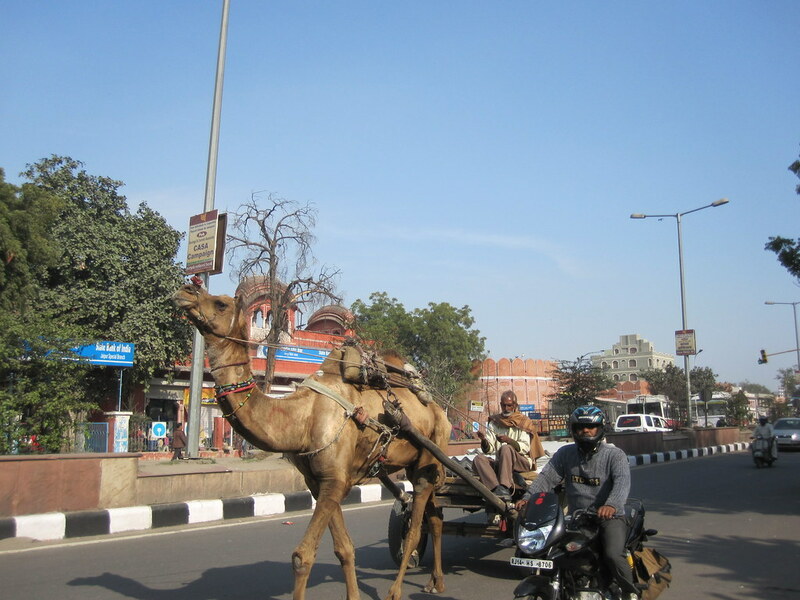 This entry was posted in Travel and tagged India, My Favorites on January 31, 2011 by Steve. This is me, Cho and his brother. 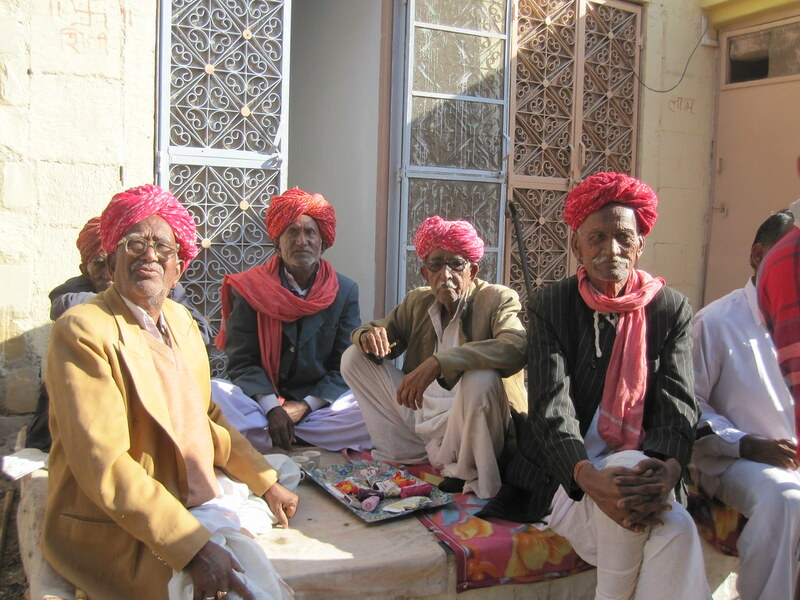 We took a tour at the same time and as I moved across India, I kept running into these guys in town after town. There were about half-a-dozen Korean guys traveling together and it took all six of them and me to have a conversation, with one of them understanding my English and translating it to the others who then rattled off commentary back to me. I had a great time talking to these guys. My Korean was non-existent, but among the six of them their command of English was fairly good. The thing I liked best about these guys was their attitude. They were friendly and funny. 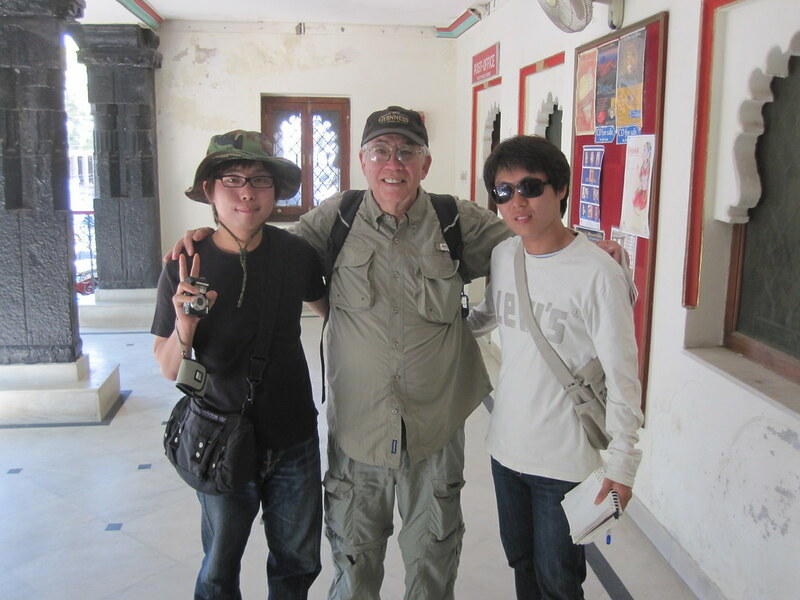 This entry was posted in Travel and tagged India on January 31, 2011 by Steve. 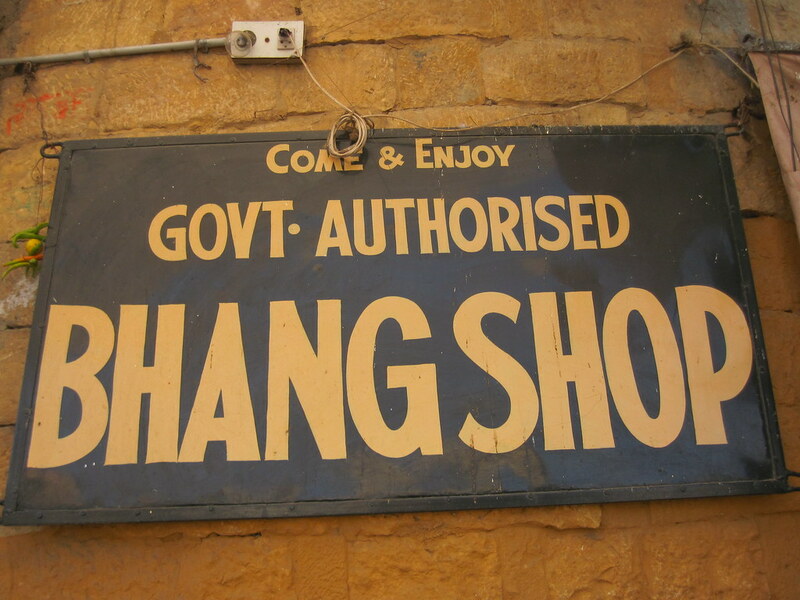 It’s a bhang shop. You know, maryjane. Smoke. Weed. Pot. And this is a shop, government approved, where you can cop a buzz. You can get it in a smoothie, baked in a brownie or smoke it. I’ve been told that it’s not very good. I wouldn’t know. As far as illegal drugs are concerned, I’ve been on the wagon for thirty-something years. Not because I had a problem with it, but because I didn’t and could figure out how to explain my illegal drug use to my children without feeling like a hypocrite. I’m not about to break a streak like that over some bad pot. I’ve been told by those in the know that what you really need to do is get a medical condition and move to California, where pot has been taken very seriously for generations, if you really want to start copping a good buzz.. They were a bunch of old guys, sitting around in the morning smoking and drinking. Sounds like my kinda’ guys. I was out walking around with my friend Ricardo, who was snapping their picture. They seemed to like having their picture taken so I snapped a few as well. I think this is the morning coffee shop ritual for these boys. 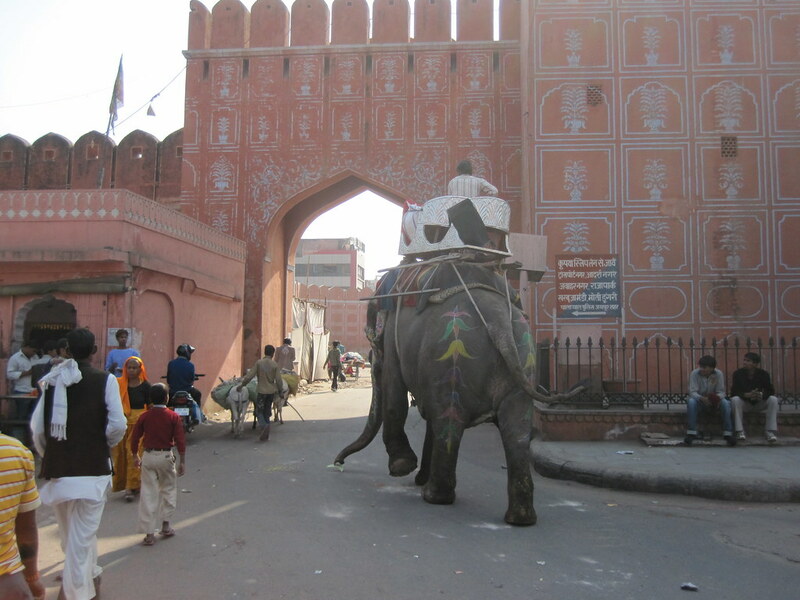 This entry was posted in Travel and tagged India, My Favorites on January 30, 2011 by Steve. These are the cookies I bought. Cost me 50 cents. You can get cookies everywhere at the kiosks that are on every block. They were great cookies. The Indians loved them, too. I had three guys sitting on benches in front of where I bought the cookies, mooching a cookie from me before I had the package open. One guy even wanted two of my cookies. I’ll give ‘em one, but not two. This entry was posted in Travel and tagged India on January 25, 2011 by Steve. It doesn’t take a lot to do some good marketing. Even in India. 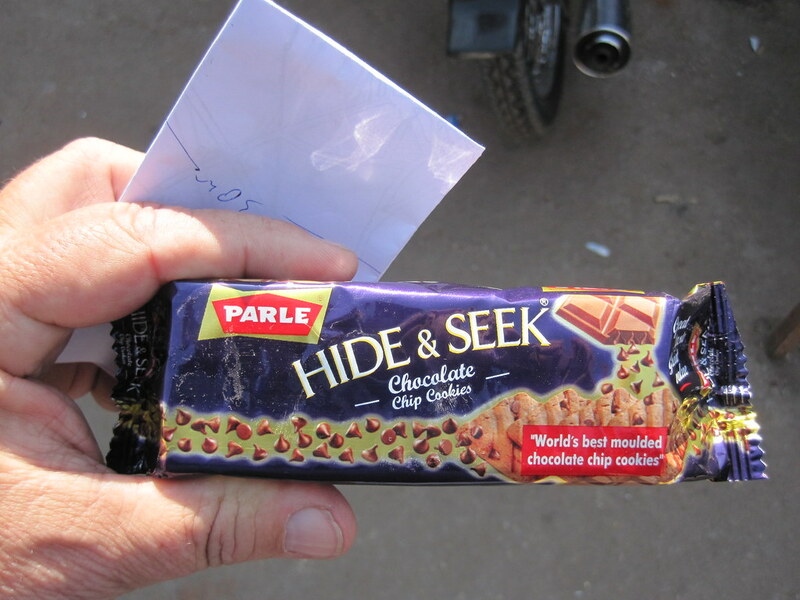 I see it everywhere in India. Animals are used by people as beasts of burden. Most of the really big traffic jams I’ve seen have very slow moving animals such as oxen at the center of the traffic jam. I mean, I’m walking down the street when I hear something behind me and turn around to see that I’m being rapidly overtaken by an elephant. For people like me, who aren’t accustomed to watching an elephant heading for their backside, this can be a little unnerving. 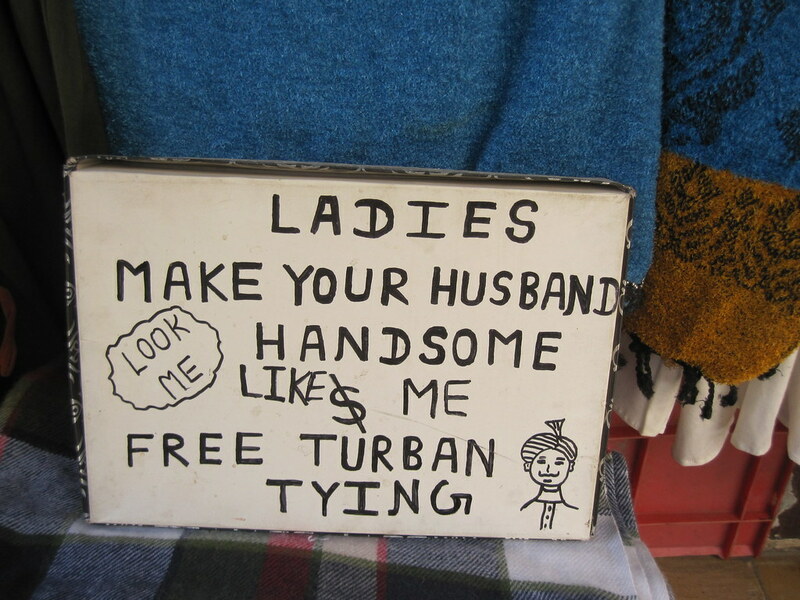 This isn’t something that happens to me on an everyday basis in India, but it has happened previously. This time, however, I must be getting a little more acclimated, because I had the wherewithal to pull out my camera and get a shot if rambling merrily onward. My questions to the driver would be simple. How do you start it? How do you stop it? How do you turn it? 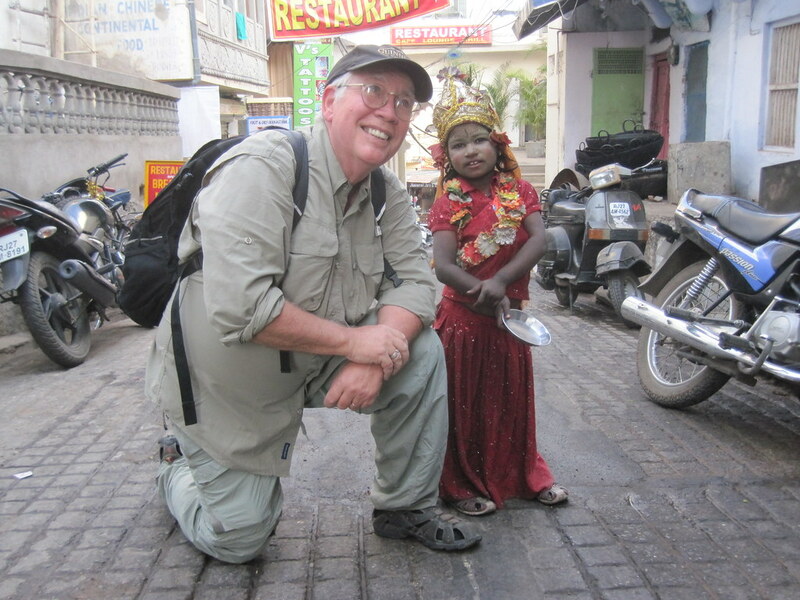 This entry was posted in Travel and tagged India, My Favorites on January 25, 2011 by Steve. I haven’t bought any of this stuff, yet. Perhaps I should. 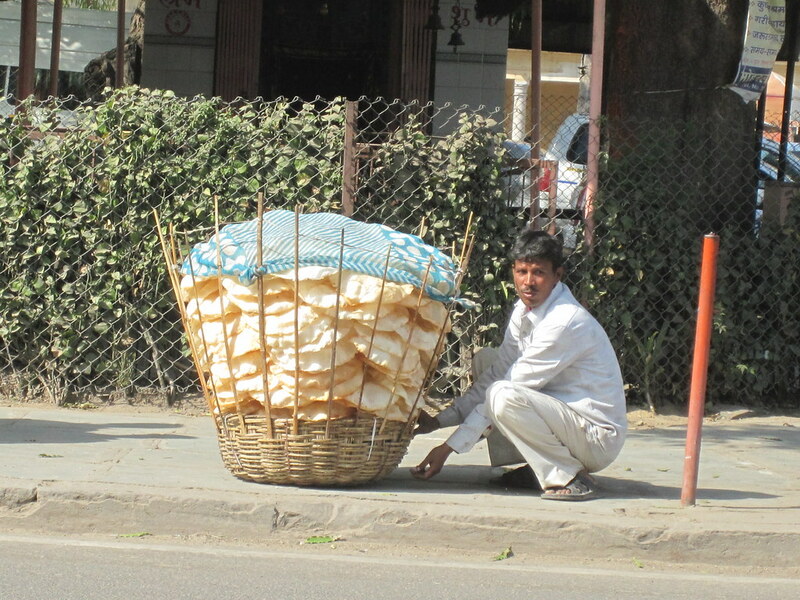 They guy in the picture was walking around trying to sell the bread in the basket. It’s an example of the street food that can be had everywhere in India. This vendor, like so many others, sells at the areas that are frequented by tourists, such as the museums, temples and palaces. You can’t possibly starve in India if you have money. 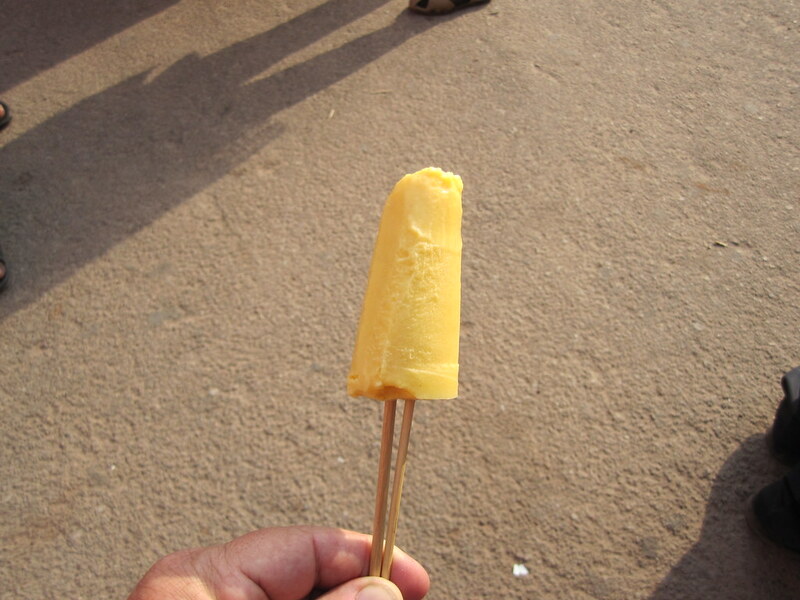 I’d never had saffron ice cream before.